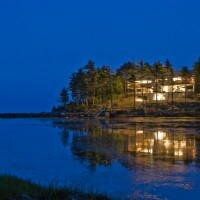 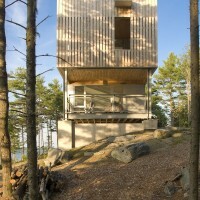 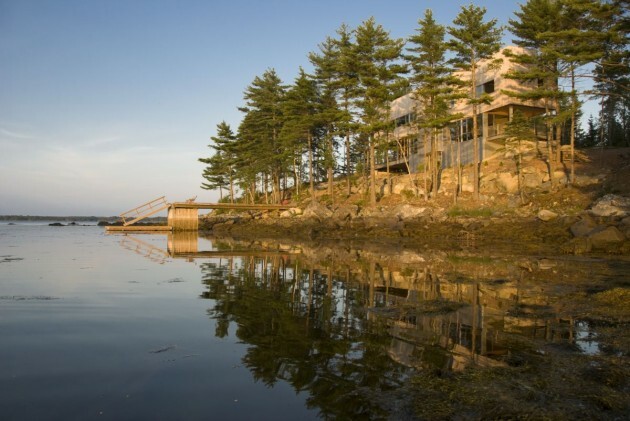 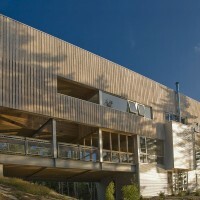 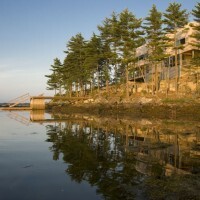 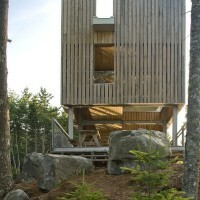 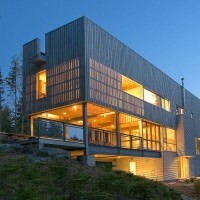 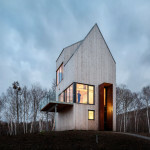 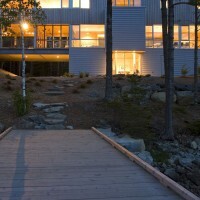 MacKay-Lyons Sweetapple Architects have designed the Bridge House in Nova Scotia, Canada. 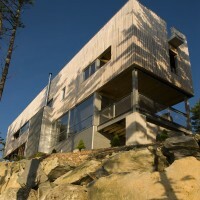 The house is for a former student of Brian MacKay-Lyons. 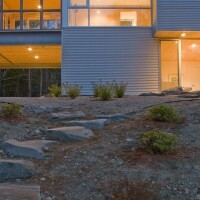 The house is situated between two gigantic boulders and a ravine. 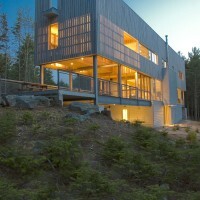 The composition of the house, boulders and ravine sit amidst a heavily wooded area in Nova Scotia. 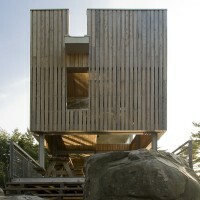 The Bridge House connects the two boulders. 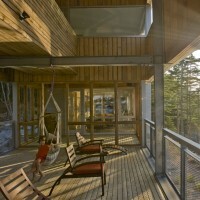 A granny suite exists on the underside of the bridge. 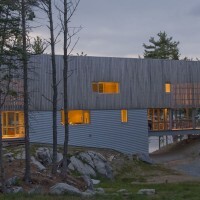 The house is heavily inspired by earlier works of the firm, including House # 22 and experiments at the Ghost Lab. 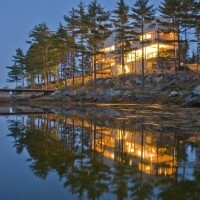 The light rustic boxes which become evening lanterns are a MacKay-Lyons Sweetapple Architects trademark. 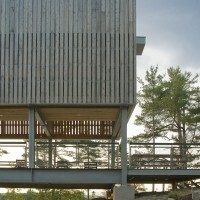 Two porches form the entry spaces on the two ends of the house adding a very generous portion of outdoor space. 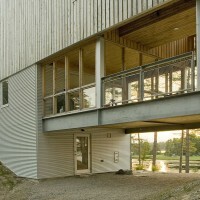 The grand double storey outdoor space acts as the social hub of the house. 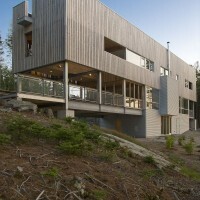 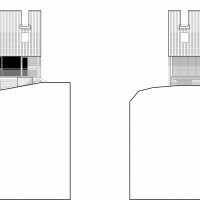 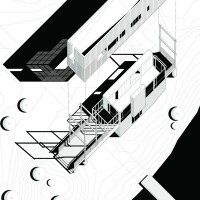 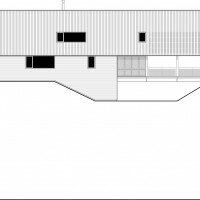 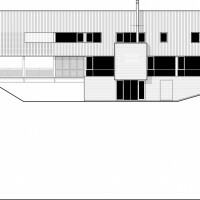 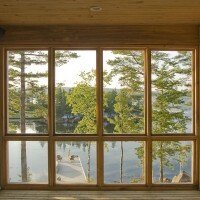 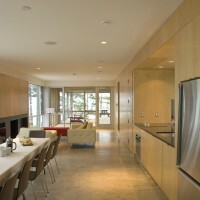 The primary elements of the house are view, permanence and materiality. 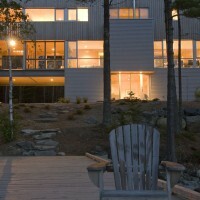 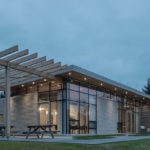 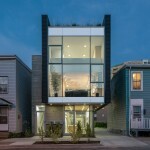 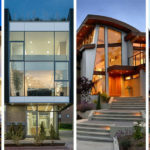 Visit the MacKay-Lyons Sweetapple Architects website – here.